University of Miami - B.S. North Adams State College - M.Ed. Manhattan School of Music - B.M. Princeton Theological Seminary - M.Div. University of Tennessee - M.S. University of Delaware - Ph.D.
Beijing University of Science and Technologies - B.A. East Tennessee State University - M.A. University of Pennsylvania - J.D. Mr. Jim Cowgill , Jr.
Florida Atlantic University - M.P.A. Florida Atlantic University - M.Ed. Bryn Mawr College - M.A. Bryn Mawr College - Ph.D. The faculty at Ransom Everglades is at the heart of school’s tradition of academic excellence. RE's teachers love the daily challenge of inspiring, engaging and nurturing students; the average length of service for Ransom Everglades faculty is 21 years. More than 70 percent of the faculty hold advanced degrees, and one in five holds a doctorate. Faculty members show their dedication by working with students before and after school, serving as club advisors and coaching sports teams. Meet the new faculty and staff for the 2018-19 school year. Dr. John A King Jr.
Penny Townsend has served as the Head of School at Ransom Everglades since July 2014, bringing a visionary and creative approach to RE's programs and facilities along with core beliefs that emphasize global education, service-driven leadership, environmental stewardship, faculty excellence and community engagement. In her years at RE, she has already made her mark on the City of Miami as she has presided over the largest capital campaign – REinventing Excellence – in the school's history. John King is Associate Head of School and a faculty member in the History and Social Sciences department. Prior to coming to Ransom Everglades 18 years ago, he was Assistant Professor of History at Belmont University. 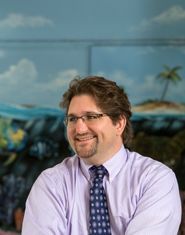 At Ransom Everglades, he has held many positions, all the while teaching AP US History, and creating and teaching the AP World History, Latin American Studies Honors, and philosophy honors courses. Dr. King has been the Senior Class Academic Dean, the Senior Class Sponsor, Associate Director of College Counseling, and has coached several teams and served as a guest conductor in the performing arts department. Dr. King has also served as the Accreditation Coordinator for RE’s last two cycles of self-study and reaccreditation. He has served on several committees, including the Technology Committee and the Search Committee for the Head of School.